Ecuador border tensions are not affecting life at all here. Yet, not surprisingly, I am receiving numerous letters like this. I am reminded of the time I was visiting my mom, when Mt. St Helen’s blew its top. I grew up and mom still lives in the same house (now for early 50 years) with a view of Mt. St Helen’s from my bedroom. This was a beautiful mountain and quite a scene when it erupted…but nothing more as it was nearly 50 miles away. Other than the mess that the ash created and the spectacle…the eruption, as far as our daily lives were concerned, was a non event. Yet people were writing and calling with concern. What they read in the press made it sound like the entire Columbia Gorge (and our home) was devastated. Ditto for these border tensions. If readers had not contacted me, I would not have known. I have not heard a single person here in the village even talk about it, etc. This action took place far away, in the most remote regions of the Amazon, barely inside Ecuador and had little or no impact on any Ecuadorians. After all not many people hang around FARC camps in the jungle. Like much of what we read in the popular news, this appears to be highly blown out of proportion. My opinion is that this is most likely a one off incident of little importance. The security concerns would be similar to someone living in New York if there was a small, one hour raid by the Mexican army chasing drug dealers over the Texas border. There has not been a war between Ecuador and Colombia for the last 80 years and there have been several similar episodes in the past where the Colombian army has passed the Ecuadorian border to kill rebels. I just invited my sister to come visit us and am total comfortable with her flying into Quito. I believe that there is far more risk driving on an America freeway! Having said that, let’s think this event through. First, the real problem…a political economic system that leaves some people so poor that they will live the existence of a terrorist in the jungle. This is not a good life. That’s the bottom line and to this extent the system is wrong…but this will not be solved overnight..plus there will probably always be rich and poor and the tensions the differences create. Second. Despite the fact that life is unfair, there must be law and order. Terrorism cannot be tolerated and even if the FARC have legitimate grievances…their way of expressing them is not correct. The Colombian government should act. In this they are right. Third, this is where it gets sticky. 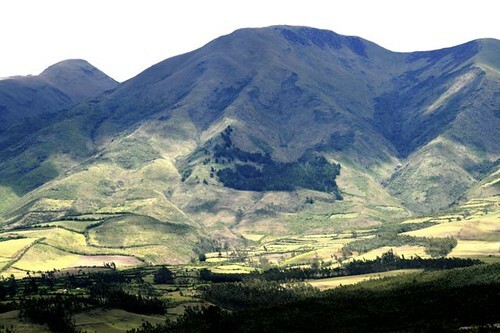 Should the Colombian army come across the Ecuadorian border? What would the reaction have been if Mexican terrorists were camping in Texas and the Mexican air force flew over the Rio Grande and killed them? My opinion is no. Colombia was wrong. I am no political expert, but my guess is that Ecuador’s President Correa will make a fuss. Colombia will make some soothing statement and in the end ruffled feathers will be smoothed. Fourth…note that all the news is focused on what Venezuela’s President Chavez has said and done. It is Chavez that has rushed tanks to his border (which were not crossed). It is Chavez that is rattling sabers. This is because Chavez has so many internal problems he needs to create an enemy abroad…the typical political trick. My guess is that Correa is much smarter than Chavez. I expect he will do what he is supposed to do and has done so far, withdraw ambassadors for a bit….go to the world court and demand repatriations. Protest a lot but not much more. Fifth, I have to get a but cynical here..and I hope I am wrong. Some years ago I was reading about Mozambique…and the extreme heart rending poverty there. I was ashamed to read that to support South Africa’s apartheid government (they believed that the way to maintain stability was to create instability in all its neighbors) that US funded operations funded rebel movements in Mozambique. I wonder if any US agencies, concerned with both Chavez and Correa had a hand in encouraging this Colombian action? Instability in this region might be viewed by some in the US as favorable. Sixth, The Ecuadorian people are friendly and have plenty of other things to worry about. Read the news here and you will see it is about the horrible floods in the province of Los Rios…and ironically helping Colombian refugees who are fleeing terrorism. President Correa has his hands full trying to improve this country in other ways. Everything I see suggests that a war would hurt him terribly from a political point of view. 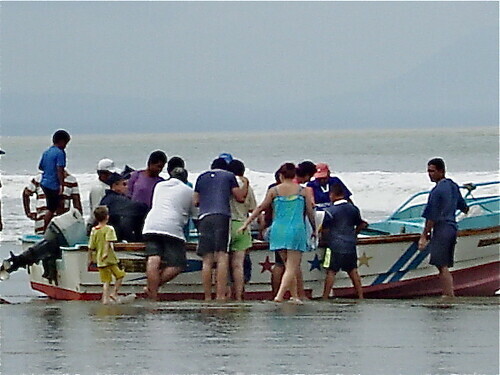 When the fishing boats come in the people are interested in the catch…not war. This is a typical scene we see on the coast. Seventh, some good may come of this. Hopefully this action will have damaged FARC. The people they have hurt are too many. Merri’s and my hearts especially go out to the poor people of the Amazon who are hurt by the FARC incursion into Ecuador. 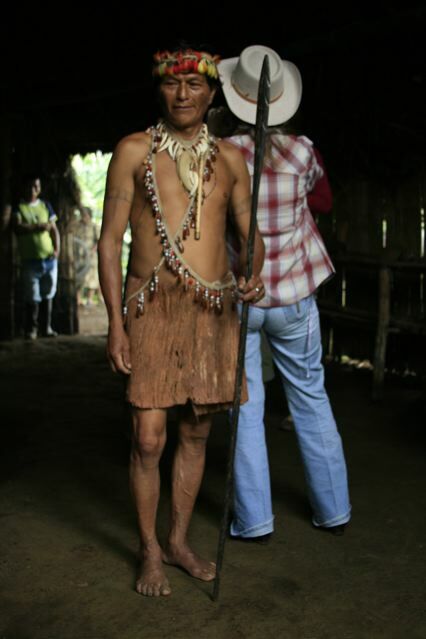 These are the people, in the Amazon, who are hurt most. Also Chavez’s ranting over this may help wise and good men with common sense to see how out of control he is. They may finally see that his leadership is so bad that he has to create distractions even if they risk of regional stability. This may be one more straw on the camel’s back. Maybe its the one that breaks it. No one knows, but this is what we must count on…wise and good men with common sense finally seeing enough straws. In the meantime, life is good here. People are smiling. The sun is shining and we feel safer here than most people in just about any city in the world. The country side here is filled with beauty and peace. Here is a view that Merri, Ma and I enjoy each day on our morning walk. Until next message, may you feel as safe as we do. We invite you to our upcoming courses.